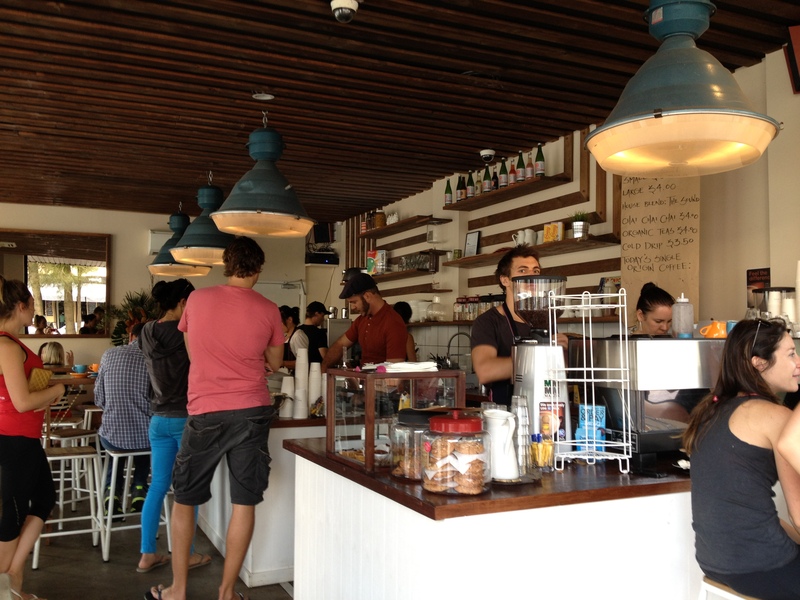 Who would have thought that Bondi would need another cafe? But when Bondi Picnic arrived on this beach suburb’s shores, it quickly became clear that there is always room for ones like this. When I first heard that Bondi Picnic had taken over Igloo Zoo, my favourite frozen yoghurt joint in Bondi, I was resentful. I arrived at the cafe doors on a busy Sunday morning ready to fire any disapproval. But as soon as I walked in the cafe’s doors, any indignation that I harboured quickly dissipated. All that came to mind was praise. The corner position on Hall Street’s five ways, coffee by The Little Marionette and a fresh, funky fit out, all the foundations of a great cafe are here. However, there is something extra that makes this cafe special. Perhaps it’s the innovative cold-drip coffee concept that offers a different single-origin coffee daily? Or maybe it’s the fact that the baristas casually yell over the churning machine “what’s your order?”. The bottles of Cholula Hot Sauce on the tables are a cute touch, as is the fresh coconut water on the drinks list. The success of Bondi Picnic shouldn’t be a surprise with Andrew Crabbe of Bondi Icebergs’ thriving Crabbe Hole cafe, as co-owner. Let’s just hope that the coffee stays smooth and the barista’s remain chirpy. Misschu’s reputation as the Rice Paper Roll Queen has meant that after just two weeks of opening, misschu underground already has a queue of hungry office workers craving a Vietnamese fix. Known as Nahji Chu, Nga Chu is the owner of the successful misschu brand. What started as a humble tuckshop in Darlinghurst’s Bourke Street has turned into an Australia-wide franchise with shops now in Sydney and Melbourne. Her controversial and colourful outbursts has meant that Nahji’s face is regularly featured in the Australian media but, what is most interesting is her incredible story of how she became the woman she is today. After escaping the Pathet Laos Regime in 1975, Nahji and her family spent four years in Thai refugee camps before settling in Australia. After studying film and media, a future in the hospitality industry was a natural progression for Nahji as the Chu family already owned several Vietnamese restaurants in Melbourne. With the Darlinghurst misschu, Sydneysiders got the rice paper roll bug and so came misschu at the Opera Kitchen, in Exhibition Street in Melbourne, Bondi Beach and now, in Regent Place in the city. The small, yet compact wooden hut that is misschu underground looks out of place in the squeaky clean surrounds of Regent Place. It’s like a glammed-up version of a hawker house, similar to the ones you would find in Asia, but for the notable lack of MSG and ninety percent humidity. White chalkboard signs direct customers to two windows to “order here” and “collect here”. Adorning the ‘hut’s’ exterior, miniature takeaway boxes hang from pegs and bamboo rice holders are slung over wooden awnings. White plastic shuttlecocks serve as light bulb holders and black and white abstract portraits of Nahji Chu feature on the walls. It’s quirky and fun, and just where I want to be on a chilly Monday. Feeling as though I’m back in primary school, I write my name at the top of the misschu form, tick the menu selections and then return it to the front office… er, I mean, “order here” window. This is the process at all misschu restaurants – fill out the form and then wait for your food – for both takeaway and inhouse. Scoring a seat at the restaurant’s bar, I notice Nahji Chu’s face staring back at me from the wall in front. All of a sudden I feel as though I’m back in Thailand, staring at photos of the King that are stuck on electricity poles and in every single restaurant and bar. It is nostalgic, in an eerie sort of way. Despite the line, a yell from the waitress alerts me that my order has arrived. I scurry over to the “collect here” counter and retrieve my goods. The food is fresh and tasty, with plenty of variations on the menu. You can opt for rice and greens or vermicelli; duck, seafood or chicken; there’s salads or curries; rice paper rolls or dumplings. For Asian food lovers, misschu is a must. Oh, and if you’re iPhone’s low on battery, chargers hang from the walls, ready to refuel all your favourite gadgets. He was on MasterChef a couple of nights ago, he opened Chiswick only months earlier and last night, he launched a new role for ARIA Catering. Matt Moran certainly has written the recipe for success. 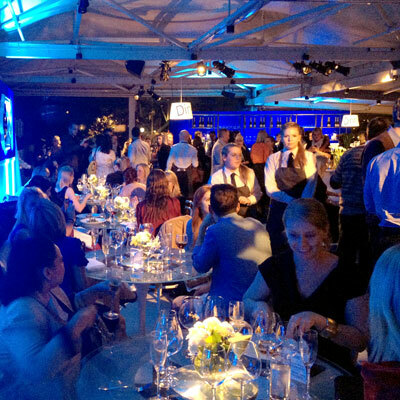 With partner Peter Sullivan by his side, and with the twinkling Sydney Harbour Bridge in the background, the duo last night announced that ARIA is now the exclusive resident caterer at Sydney Opera House. 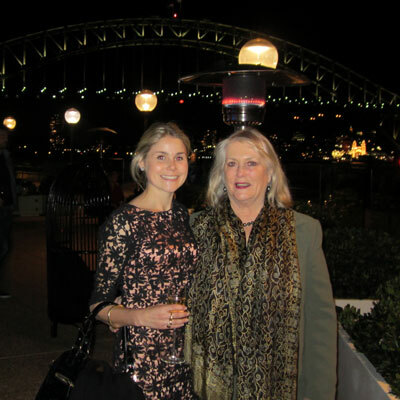 To celebrate this new role for ARIA, we headed to the Opera Point Marquee and spent the evening sampling canapés and hot dishes from the live cooking stations. A harpist elegantly played soft tunes in the centre of the marquee, while guests took turns dining at the mini restaurant set-up (complete with timers on each table so that all could get a ‘live restaurant’ experience). It was a beautiful evening, smoothly run by the ever-efficient team at The Cru. As we left, guest were given a goodie bag which contained, two ARIA-embossed Riedel champagne flutes. With our gift in hand, the Best Restaurant team decided that it was our duty to head home, fill our flutes and clink our ARIA-studded glasses to Matt and Peter’s success. Tucked away in Brisbane’s West End, Mondo Organics is Australia’s first licensed organic restaurant. Opening in 2000 as a restaurant, cooking school and catering company, Mondo Organics is a stalwart in the Brisbane dining scene. Co-owner’s Brenda Fawdon and Sonja Drexler have created an unpretentious dining space with timber slated window shutters, blue feature walls and wooden chairs. Guests can choose to seat inside in the bistro-style dining room or alfresco, in the street entrance courtyard area. On a balmy Friday night, we opt for the courtyard where the lighting is dimmed and seductive, slow music plays overhead. 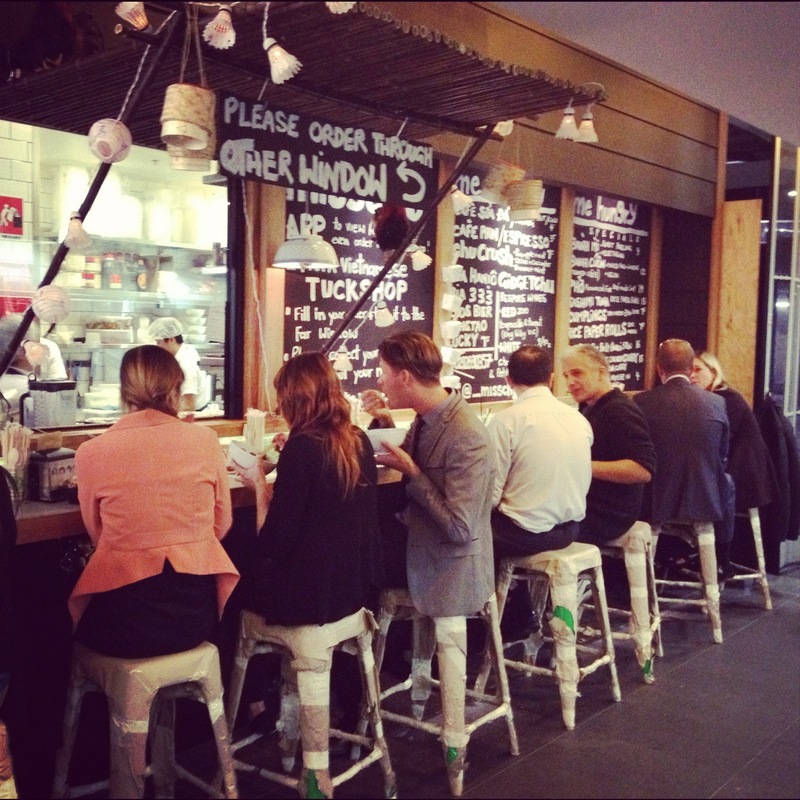 Accustomed to the more upbeat Sydney dining scene, the atmosphere here is relaxed and tranquil. Expecting things like alfafa, tofu and bean sprouts to feature on the menu, Mondo Organics abandons the traditional expectations of what diners expect from organic restaurants. Each dish on the menu is presently elegantly and simply. An entree of cured ocean trout is rustically served on a wooden chopping board with a cauliflower puree and sprinkled with micro herbs. The mushroom consommé arrives with a grey ceramic cup – storing the broth – to be poured over the poached quail egg. 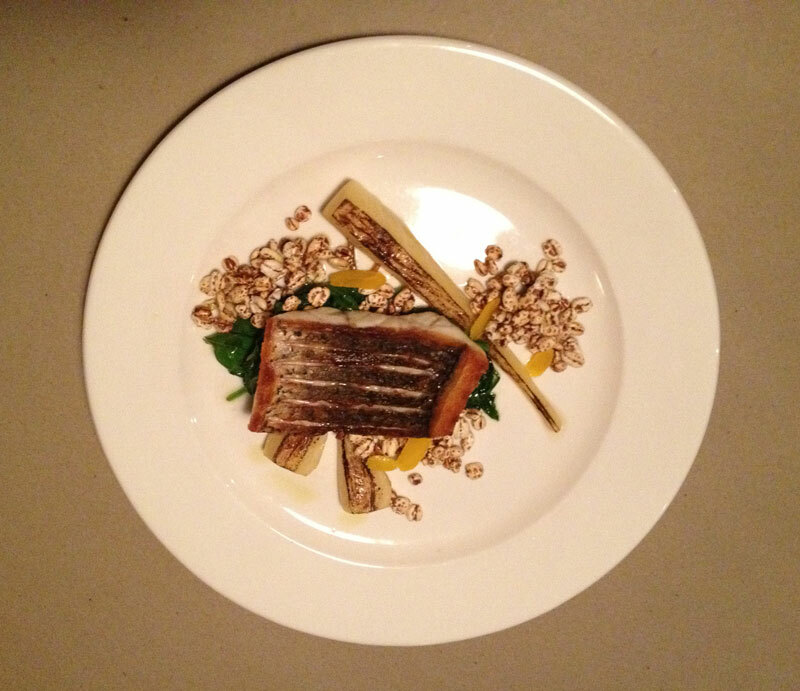 The result is a subtle combination of flavours and textures – and as you eat it, you feel nourished. The gnocci is served with chorizo and a rich, piquant sauce while the Mulloway is simply pan-friend and served with grilled parsnips, puffed kamut and spinach. The chefs at Mondo Organics don’t push culinary boundaries but, rather, they simply work with quality ingredients. The result is a delicious and healthy dining experience, where guests leave feeling neither too-full nor too-hungry. As for the wine list, organic and bio-dynamic drops sit beside hand-picked grapes and international big-time names. The diversity in both the wine list and the menu allows each guest to forage their own dining experience. Whether you are gluten free, wheat free, dairy free, vegetarian, vegan or a meat-loving maniac – Mondo caters for all. In a society where fussiness appears to be a God-given right, places like Mondo Organics are a blessing. I have felt behind the eight ball in recent months. Keeping up-to-date with restaurant openings and cafes has always been easy, but getting to every new small bar, wine bar, cocktail bar, absinthe bar…. now that has been a struggle. 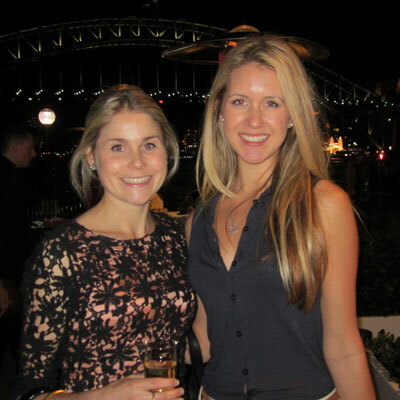 So… I have spent the last month exploring Sydney’s bourgeoning drinking hotspots. Shady Pines Saloon is quirky and different, whereas Stitch is crowded, but worth putting up with the odd jab in the rib and spilt drink. Mr Cooper’s Wine Bar is sophisticated and elegant, perfect for the Woollahra/ Paddington crowd and Baxter Inn is moody and atmospheric but with an added stiffness that comes from a crowd that is predominantly wearing suits. Bondi Hardware exudes that effortlessly casual chic that one associates with the Campari-sipping, North-Bondi-Italian-eating Eastern Suburbs crowd. 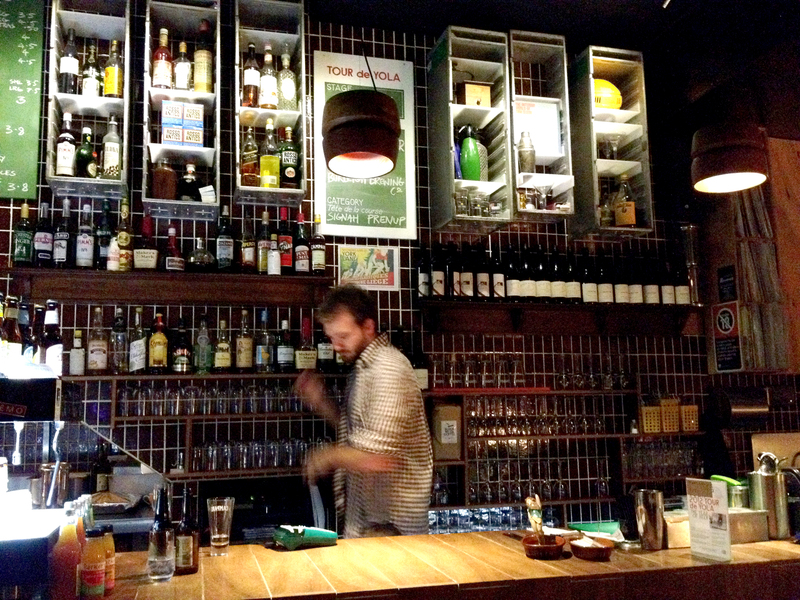 But York Lane, tucked away in the heart of the CBD, can be described in three words: Tiny. But. Fabulous. The bar doesn’t try too hard. There is no theme, colour scheme or particular design. But… it is certainly not devoid of character. Instead of paintings, bicycles hang on the walls and rather than proper seats, patrons perch on child-sized red and white wooden stools. A chalk board offers cheeky descriptions of drink specials and round copper lights dangerously hang from the ceiling. And unbeknown to many, all the furnishings in this tiny, split-level space are recycled. An espresso machine pumps out takeaway lattes by day but as the sun sets, York Lane transforms into a licensed restaurant and tapas bar. Small clipboards are handed out with brown recycled paper listing a handful of tapas dishes and drinks, which change daily. Duck pancakes with hoisin sauce are the perfect accompaniment to a crisp pear cider but I eye off another table’s order of pork belly with chilli jam and buffalo wings. I make a mental note to order these next time. Because, yes, there will definitely be a next time at York Lane. Perched on the edge of North Bondi, overlooking the esplanade and iconic Bondi Beach, North Bondi Italian is the brainchild of restaurateurs’ Maurice Terzini and Robert Marchetti. While the duo may have gone their separate ways in business, this Eastern Suburbs institution continues as a favourite in the Sydney dining scene. Arriving just before 8pm, our party of four expected to wait for a table. With a no-bookings policy, guests are encouraged to arrive early and be ready to enjoy a drink at the bar before their meal. But, as we walked in the restaurant’s entrance, a few of the tables were actually empty. Enquiring as to why this might be the case (or perhaps noticing the look , the maître d quickly informed us: “It’s fashion week – it’s literally the only week in the year when we aren’t crazy busy”. Despite not asking for a window seat, the convivial maître d suggested we perch at the bar until a window seat became available. After a Campari cocktail and a handful of shelled peanuts, we were taken to one of the most beautiful tables in the room. The interior at North Bondi Italian is anything but minimalistic. Exuding with character and life, the roof is scribbled with jumbled phrases and words and the bare timber tables contain help-yourself sunken cutlery tins. Energetic waiters bounce around wearing denim Tsubi overalls and white t-shirts and the music is lively and hip. But despite the fun and jovial atmosphere, the menu screams: “I’m Serious About Food.” Divided into classic Italian categories such as verdure and dolci, there is also one section of the menu titled, “for those in training” – listing a handful of low GI, low carb and gluten-free options. North Bondi Italian clearly knows its target audience. In saying that, the “no variations to the menu” policy might cause a few hiccups. Even with high expectations, the food doesn’t disappoint. The spinach arancini balls reinforce why Italian food can be so superior while the parmesan-crumbed lamb brains don’t have that chewy, stringy texture that could turn you off offal for life. The white fish carpaccio with roasted fennel seeds and dried chilli is a contrast of flavours and textures and simple sides such as garlic steamed broccoli and rosemary crispy potatoes refuse to play second fiddle, becoming standouts in the dish. It’s the view, the rustic home-style menu and the contemporary design – North Bondi Italian embraces everything we know and love about Sydney dining. 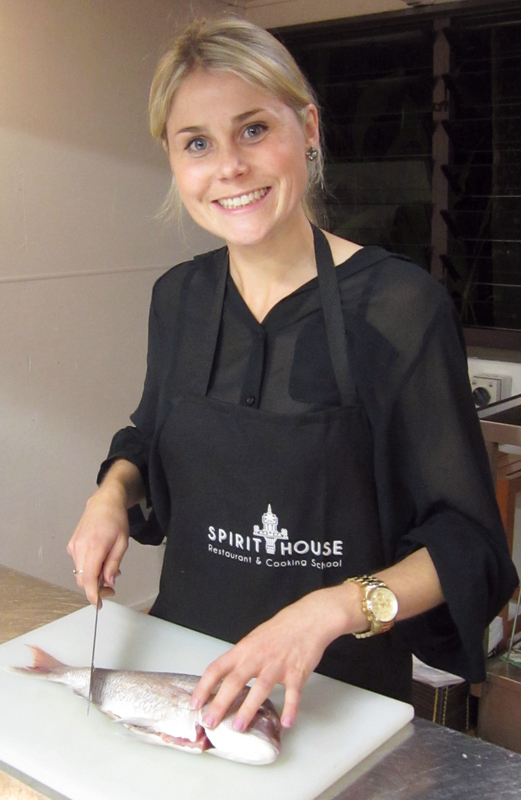 The Spirit House is a Sunshine Coast institution and their cooking school is the highlight of many visitors’ trips to Queensland. Situated near a small town called Yandina, The Spirit House is about 20 minutes by car from Noosa, Coolum and Maroochydore. The restaurant, recently awarded a Regional Chef Hat in the Queensland Good Food Guide 2012, is renowned across Australia for its contemporary Asian menu and lush tropical setting. 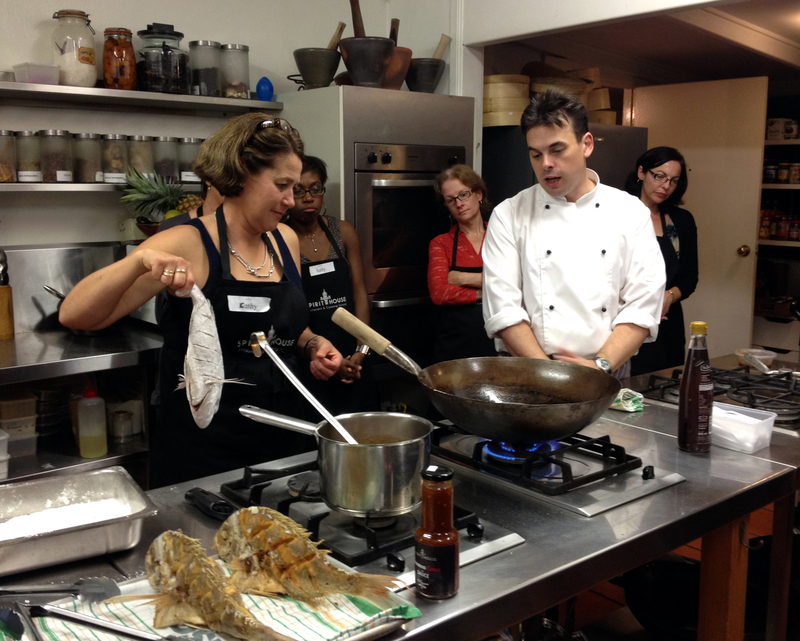 The cooking school offers a range of specialist classes focussing on Thai and Asian cooking styles and techniques, many of which are led by Head Chef Annette Fear. 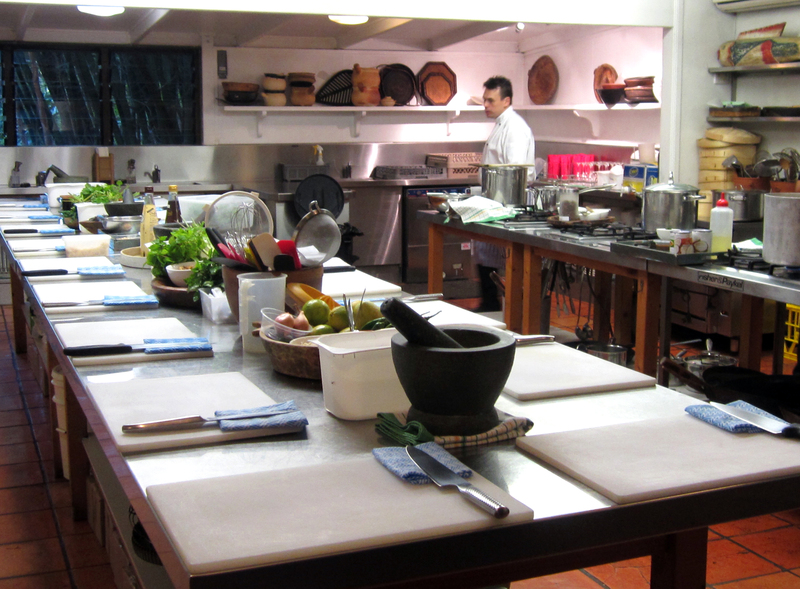 For our class, former Spirit House Head Chef Kelly Lord is the man in charge. Having just returned from overseas, where he spent time with Thai-guru David Thompson, Kelly imparts a passionate energy that makes the 4.5 hour class fly by. We arrive with just a few moments to dash over to the restaurant to check it out before we get our aprons on and our hands dirty. The class we have chosen, Essential Thai 2, is designed as a sequel to Essential Thai 1, however, it is not a requirement to have completed this first class. Mixing basic cutting techniques with more complicated skills – such as balancing Thai flavours of sweetness, sourness, saltiness and heat – the classes are suited to both amateur and proficient cooks. I’m a little nervous scoring the fish! We learn to make caramel (for our luscious sticky sweet pork salad) and how to create the perfect green curry paste. The Tom Yum Goong soup includes a prawn de-veining session while a deep-frying session gives us the skills to recreate the crispy whole fish with tamarind sauce at home. At 8pm, we sit down for a well-deserved glass of wine (included in the class) and a Thai banquet that we can proudly say we created ourselves. For about the same price as a three-course dinner at Spirit House, you can enjoy some contemporary Thai dishes in the same stunning surrounds and, you get to take home all the recipes to impress your friends and family. 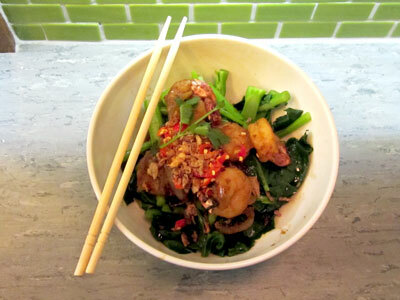 For the more adventurous, Spirit House also offers food tours to Thailand, Vietnam and Laos. These tours are limited to 3-4 days and itineraries do not include flights or accommodation.